As part of International Women’s Day 2015, EPI will be profiling some of our female colleagues over the coming weeks, and sharing their achievements with you. Jessica Benford is a consultant MMO, PAM operator for EPI, having worked in the industry since 2007. She studied at Pennsylvania State University, graduating with a BSc in Wildlife & Fishery Science. 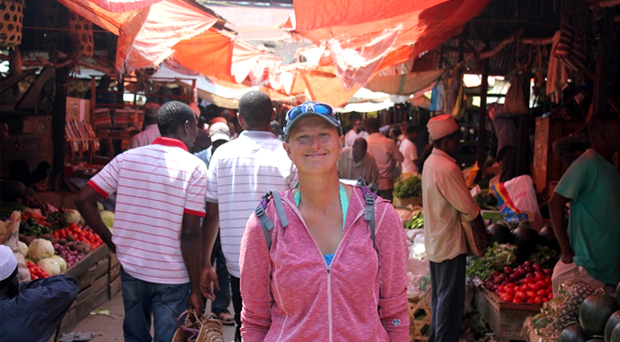 Since graduating, Jessica has worked all over the world from Senegal to Suriname. EPI: How did you get into the industry? JB: I landed my first job in the industry in 2007. I had driven to Florida for spring break and for a holiday. During this time, I had agreed to several interviews with various companies to seek for a career in the marine field in Florida. Fortunately, I only needed to meet with one company – a woman-owned consulting firm, and as soon as I graduated that summer of 2007, the owner had sent me on my first assignment researching North Atlantic right whales in the Atlantic Ocean and in the Massachusetts Bay and working on the Northeast Gateway (NEG) Pipeline Project. EPI: Have you got any advice for women wanting to join the industry? JB: I actually get this question asked every few months. I have helped young women in the past to determine their focus of studies and what direction they wanted to take in the marine field. The best advice that I can give is to get all the hands-on experience that you can – whether this is a volunteer position in an aquarium, working with a PhD student, and/or assisting with a local high school teacher or professor on their area of studies. Once you know the direction that you want to take, then start researching who and which agencies you need to contact to join the industry. EPI: How do you fit in with the team in the field, in such a male dominated environment? JB: I have always been adaptable ever since I was little. I started playing sports at a young age and since the beginning, I seem to have had a “male-only” team in both soccer and basketball. Over the years as I have grown older, those males I played sports with became some of my best friends in life. To make it in this “male-dominated” field you have to maintain professionalism, be adaptable, and give, as well as, receive respect. 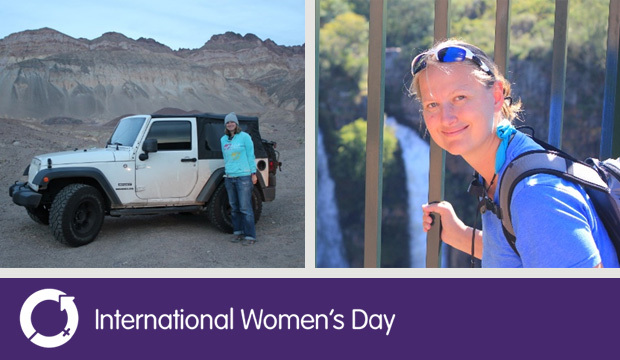 On a more personal note, travel is one of Jessica’s big passions, and she has set out on a ‘Voyage of Discovery’ with her Jeep called Oakley, driving to all 60 UN-recognized countries that she has travelled to in the past, whilst adding new countries all the time to that list. When she’s not working or travelling, Jessica also enjoys playing sport, adrenaline activities and photography. You can find more about Jessica including her work and travels here where you can also read an interview carried out by www.thebesttravelled.com.